Making a cloud transition gives your company major competitive advantages in agility, collaboration, and access to data. Technology is accelerating at rates never before witnessed. As technology is bringing progress to businesses of all types, top companies are looking for ways to stay ahead of the technological revolution. In order to innovate business models and business processes, businesses need systems that can respond to change quickly. Companies that do not have nimble ways to collect, interpret, and use massive amounts of data are at risk of failure. The sheer volume of collected data and the need for integrated systems is driving many companies to switch from legacy systems to the cloud. With scalability, flexibility, and accessibility, cloud solutions are becoming the best way for companies to contend and compete in today’s global economy. When it comes to embracing the cloud – why companies decide what to move – it’s important to understand some of the fundamentals, advantages, and challenges of cloud technology and migration. Scalability. With cloud computing, companies are not limited by legacy systems that may no longer provide the necessary capacity, functionality, or speed necessary to compete. Cloud platforms reduce the need for frequent upgrades and customization that can plague legacy systems with costs and time losses. Cloud systems grow as the company grows, allowing for more capacity and modular growth. Better Performance. Using a cloud provider brings with it contractually promised performance and uptime rates. Cloud offers great flexibility that allows users to access systems constantly. On-site system maintenance is no longer a concern by relying on proven providers with the resources to keep systems online and diagnose and solve issues quickly. Cost Savings. With cloud systems, companies are not paying for the resources and capacity they do not need. Utilizing a cloud infrastructure reduces the overhead costs of storage, cooling, and power that servers require. 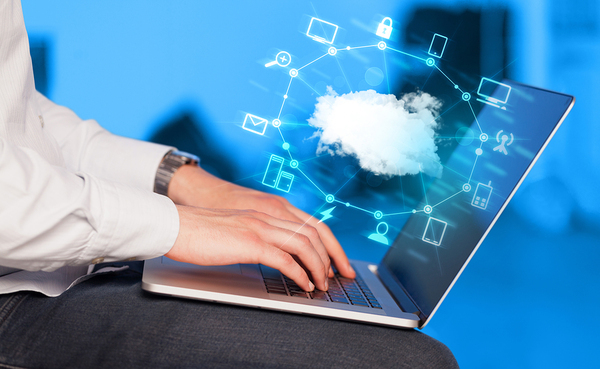 Further, cloud technology eliminates the need for your internal IT staff to dedicate time to tasks such as hardware upgrades, patching, and maintenance. This allows you to position your IT staff for more strategic initiatives to advance your organization forward. Better Access to Technology. Software companies that develop in cloud-based environments can develop and deploy new tools, upgrades, and innovative technologies faster. These improvements can be delivered simultaneously to all users, reducing the need for in-person management of upgrades or lengthy delays in implementation. Better Business Continuity. With off-site storage, in-person physical security, constant maintenance of cyber intrusions and potential attacks, and redundant data backups, your company’s information is secure and safe. In the case of a natural disaster or other business disruption, a cloud-based system allows your business to be online, functional, and serving customers quickly, often with no interruption in service. Faster Time to Market. Cloud systems are designed to propel innovation. Cloud technology allows for the better collection, analysis, display, and use of data. This speed provides companies with a distinct advantage when creating, deploying, and selling new products and services. Resource Pooling. With cloud systems, resources are pooled among multiple customers. This arrangement creates major economies of scale and efficiencies. Resources can be deployed based on demand without regard to physical location. Better Employee Productivity. With the uniform use of tools, employee training can be consistent and delivered centrally. With better tools, accessible by multiple users simultaneously, integrated data, and collaboration functions, companies will see improved productivity, engagement, and empowerment. Cost Allocation Shift. With cloud tech, companies can move costs from capital expenditures to operational expenditures. Contracted services provide for more predictability in budgeting and cost projection, without the uncertainty caused by unexpected maintenance, repair, and replacement costs. Cost Containment. With a cloud system, resources and services can be purchased on a usage basis, eliminating the challenge of purchasing systems at a higher price that contain unused, excess capacity and functionality. Self-Service On Demand. Companies no longer need to deal with vendor employees as frequently when new services and capacity can be ordered and accessed quickly. Broader Reach. With cloud solutions, your employees can access data and systems from anywhere in the world and on any device. Mobile technology allows for easy access and functionality. Choosing a cloud system requires more decisions as there are different delivery methods for cloud computing services. Software-as-a-Service (SaaS). In this model, applications are hosted virtually and accessed via a web interface. Companies purchase subscriptions to the software. Infrastructure-as-a-Service (IaaS). These services provide access to storage, processing, and other resources over the Internet, with companies typically only paying for services used. Platform-as-a-Service (PaaS). Developers use this newer space to create and test applications using provided operating systems, design tools, hosting capacity, and database management systems. Often these services are presented as an add-on to IaaS services. There are also several types of cloud structures to consider. Public clouds are those in which services and infrastructure are provided off-site with access over the internet in a public network. Private clouds host your applications and data within a corporate firewall on a private network, under the control of an internal IT department. It maintains all the benefits (pooled resources, self-service, and elasticity) of public clouds, just in a private environment. Hybrid models are the combination of both; allowing you to host your applications and systems in whichever one is most efficient for that workload. Despite the many advantages of moving, there are often several barriers that make it difficult for some businesses to make the cloud transition. Regulatory Constraints. Businesses in highly regulated industries face significant requirements for compliance, especially in privacy and data security areas. Other companies face industry-specific regulations in professions such as healthcare, retail, finance, food and beverage manufacturing, and the public sector. Companies may face conflicting regulatory requirements at the state, federal and international levels. Network Architecture. Some businesses face barriers related to in-place network architecture that cannot support the high-bandwidth workloads and latency-sensitive needs of cloud systems. This issue is particularly prevalent in developing countries due to the distance from public networks. Cost Avoidance. Pressures to reduce fixed costs are a constant struggle in many organizations. That means companies are regularly cutting capital expenditures and treating them as operational expenses. At the same time, there is increasing pressure on IT teams to provide integrated systems with high availability rates, pushing many to consider cloud applications, but unable to absorb the costs associated with the investment. How does cloud adoption change the way businesses operate? While it can be company-specific, cloud solutions are morphing roles and relationships. Changing Role of IT. IT departments traditionally have focused on “keeping the machines running” via ongoing maintenance, patching, replacing, and fixing computers, servers, and peripherals. They’ve also been responsible for installing new systems and ensuring those platforms function properly. With the cloud, IT’s role at many companies is changing, focused more on strategy and the role existing and future technologies may play in achieving business goals. This shift means that more control of the cloud-based systems is in the hands of business units that now have more responsibility for those systems, data, and adaptation. Businesses moving systems to the cloud need to train both IT and business unit professionals about these changing roles and what it means for the company. More IT Governance. Too many companies have had lax procedures when it comes to IT governance, particularly when the data and hardware were within the company confines. Under a cloud-based model, IT and legal teams need to develop, implement, test, and report on robust governance to ensure security and privacy are maintained. This shift means working closely with cloud providers to ensure compliance, development of user access and data policy procedures, and verification procedures that meet policy standards and regulatory requirements. Greater Agility and Speed. One significant advantage of cloud systems is the readily available amounts of data, both raw and in aggregated and easily interpreted reports and dashboards. With these capabilities, companies can become much more agile in how they share information internally and with clients, suppliers, and vendors. This agility also helps with customer service, providing multiple areas of the organization with quick access to diagnostics, troubleshooting, and complaint resolution tools. As more companies adopt cloud systems, the ability to differentiate decreases. A 2015 Harvard Business Review study showed that 77 percent of companies believed they had gained a competitive advantage from moving to the cloud, nearly the same as the previous year (74 percent). However, the number of companies that showed a significant advantage dropped to 16 percent compared to 30 percent previously. What does that mean? Companies that want to continue to gain a competitive advantage via cloud means companies will need to further adapt their business processes to reflect the collaboration that the cloud affords. It means reducing the time between identifying a pain point or need among customers and potential customers and alleviating the pain of filling the need. Those points require companies to reconsider how work is done in several key areas. It means looking for new employees or retraining employees for different needed skills. It means rethinking entire business models and changing business processes. It means forging new relationships both within the company and externally. Here are some other new technologies that are likely to grow in importance, and their relationship to cloud computing. Machine Learning. In a recent Harvard Business Review study, 60 percent of respondents believed that machine learning would be a key factor in distancing their company from the competition. The same study showed that 82 percent of executives saw predictive analytics as the machine learning component that was most affecting their organization today.Machine learning can also help in other analytical areas, including pattern recognition, workflow management, fraud detection, and personalization.Tom Davenport, a Babson College professor and analytics expert, separates machine learning into offensive and defensive technologies. Offensive applications include propensity models in sales and marketing that show which customers are more likely to buy goods or services and generate the most revenue. Defensive applications include those used for cybersecurity, compliance and fraud detection.Leveraging machine learning requires the use of massive amounts of data that most legacy systems cannot process quickly. In the cloud, the processing power, storage capacity, and real-time delivery of results create an opportunity that previously was not possible. Industry-Specific Clouds. In specialized industries, especially those with compliance issues, such as healthcare, the public sector, or financial services, many providers are providing specific platforms. These industry-specific clouds include customized builds to help with compliance and regulatory reporting. They also include functionality that helps with trackability and traceability that supports regulatory requirements. The Rise of the Multi-Cloud. Increasingly, companies are developing relationships in multiple cloud spaces. Various applications are hosted by more than one cloud provider, third-party cloud platform vendors, or in combination with in-house systems.This multi-cloud environment lets companies use cloud services that have specific features to respond to multiple business needs. This allows companies to respond even better to customers, vendors, partners, suppliers, and employees as needs change while minimizing disruption.However, there are challenges associated with this approach. For example, with multiple platforms, the amount of work can be underestimated when it comes to user interfaces for users and developers. Without a clear cloud strategy, unchecked expansion can cause major problems with integration and management.To better manage multi-cloud platform realities, developers and businesses are increasingly relying on an open-source approach to develop standards and meet the demand for rapid cloud expansion and use. Personalization. Customers today expect the brands and products they use to have a clear knowledge of the total relationship. This means everyone from sales to procurement to customer service needs a complete and comprehensive understanding of the customer. Personalizing experiences requires data from multiple systems to be integrated and available at the moment of need. The cloud allows for real-time automated personalization of website visits and marketing campaigns, better use of available data on the customer’s history, and customized interactions throughout the customer acquisition and sales funnels. At Denovo, we help companies develop comprehensive cloud strategies and offer enterprise cloud services. To learn more about Denovo’s consulting and managed services, contact us for a free consultation.